Step 1: Make sure that your V5 Controller is on and linked to your V5 Robot. The V5 Controller should be powered on and connected to your V5 Robot. 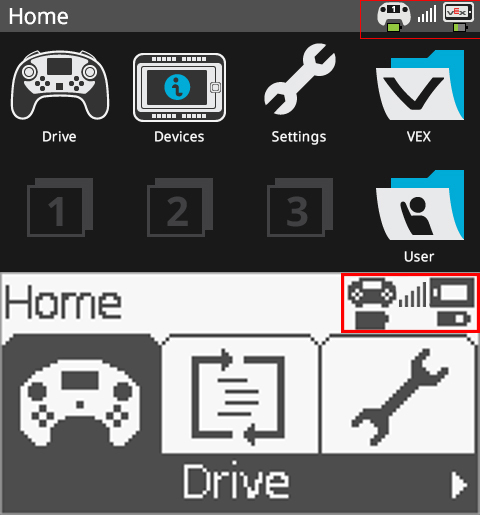 For help in connecting your robot to the controller, go to this page about pairing your V5 Controller to your V5 Robot Brain. 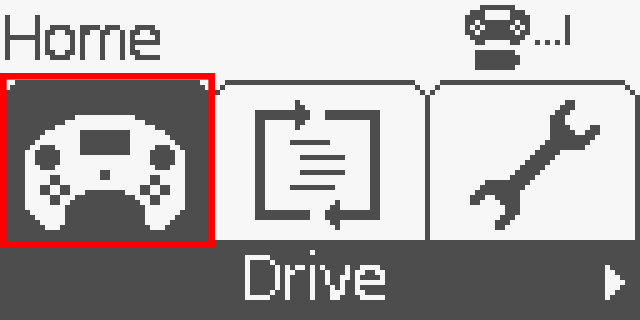 Step 2: Make sure that the Drive icon is highlighted and press the A button. Use the arrow buttons on the V5 Controller to move the dark highlight over the Drive icon. Then press either the down-arrow button or the A button to select Drive. Step 3: Press A to run the Drive program. 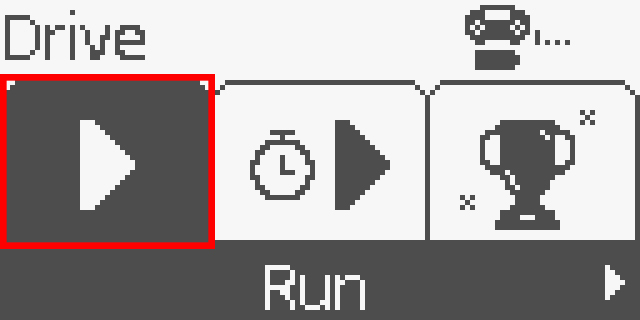 Use the arrow buttons to move the dark highlight over the Run icon on the Drive program screen. Then press the A button to select Run. 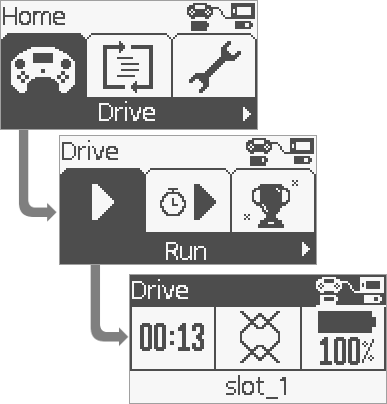 Step 4: Use the Drive program's running screen. The image above shows the screens you went through to run the Drive program. Use the Drive program's running screen to monitor your running time and the charge on the battery.